Summer Wine is NO LONGER FOR SALE!! October 13, 2012. Giles Grimston advised today that Summer Wine is no longer for sale! Giles joins that distinguished select group of owners who have gone through a similar "Oh my gosh? What have I done?" experience. The record time for this is 2 days. In order to minimize the often painful reminders of this experience we remove the ad and related text from Summer Wine's main page and set up this historical page - for the record. 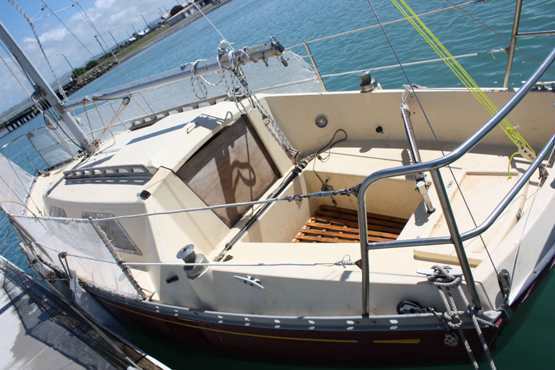 Well known pedigree, all information at http://dolphin24.org/summer_wine.html Beaching trailer no wof etc. 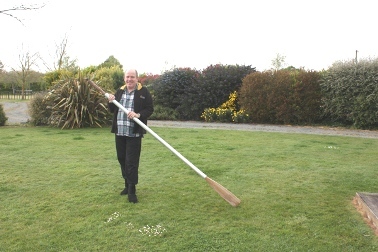 Giles is a senior DFI and helped us get the NZ built boats home page organized. We would have missed him. This is the link to that page. http://dolphin24.org/technical_Dolphin_with_fin_Keel.html.